Dean E Mundy is an assistant professor of public relations. His research focuses on the role public relations plays in fostering diverse and inclusive organizations and how organizations convey those values to key internal and external stakeholders. He also explores advocacy communication, specifically through the lens of LGBTQ organizations at the local and state levels. His work has been published in leading PR journals such as PR Review. His state-of-the-field article focused on diversity and inclusion was named one the top articles published by the Public Relations Society of America’s PR Journal in 2015. He is on the editorial board for PR Journal and the new Journal of Public Interest Communication. Currently, Mundy is a member of the Commission on Public Relations Education, leading the diversity chapter development for the Commission’s 2017 national report. He is on the Executive Committee for the Public Relations Society of America’s Educators Academy, where he will serve as research chair for 2018. He also is editor of PR Update, the newsletter for the Association for Education in Journalism and Mass Communication’s (AEJMC) Public Relations Division. Formerly, he was Head of AEJMC’s LGBTQ Interest Group. Before entering academia, he spent about a decade in the corporate world, working as a business process consultant for Andersen Consulting (now Accenture), in finance and marketing roles for the Coca-Cola Company, and as media relations analyst and corporate spokesperson for Nortel Technology. Mundy’s research explores the advocacy strategies that social movement organizations use. 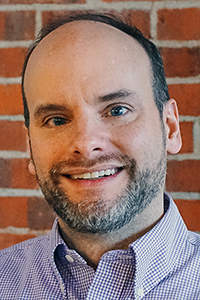 Focusing primarily on organizations within the LGBT movement, he studies how organizations within the movement craft their communication strategies at local and state levels, the corresponding challenges and opportunities they meet along the way, and what this might mean for other advocacy-driven organizations.